The 2018 LA Art Show returns to the Los Angeles Convention Center January 10 - 14, 2018, with the most diverse programming and exhibitors to date. The 2018 LA Art Show returns to the Los Angeles Convention Center January 10 - 14, 2018, with the most diverse programming and exhibitors to date. Leading the way in the CORE section is Patrick Painter, Timothy Yarger, SM Fine Art and more. Merry Karnowsky // KP Projects will be joining the fair as an exhibitor for the first time in its two plus decade history never before seen works by Vivian Maier. East Coast, Jonathan LeVine Gallery and Superchief Gallery LA will be getting into the mix for the first time as well. For 22 years, the Show has been a pioneer in identifying some of the most compelling artists, performances, exhibitions and movements in the world. For the 23rd edition, the LA Art Show is fully devoted to highlighting the immense diversity of the artworld, and the way the LA art scene distinctly weaves so many cultural influences together. The newly branded DIVERSEartLA programming will dedicate over 60,000 square feet of exhibit space highlighting work from all over the globe, including a number of exhibits making their world and US premieres. Being shown for the first time ever in the United States, the Metaphysical Orozco recreates Jose Clementé Orozco’s iconic murals with multi-layer mapping projections. On the 30th anniversary of Stanley Kubrick’s Full Metal Jacket, Matthew Modine’s “Full Metal Diary” offers an incredibly rare and vibrant portrait of one of cinema’s most iconic war films – by one of the industry’s most enigmatic directors. The exhibition is a study of a young actor under the apprenticeship of a legend. Making its world premiere at the LA Art Show, Through The Looking Glass was birthed from the notion of introspective cultural perception. It questions the viewer’s engagement with cultures not recognized as his or her own, as well as the educational conduits to said cultures, and finally, it questions the viewer’s responsibility to pursue these inquiries. 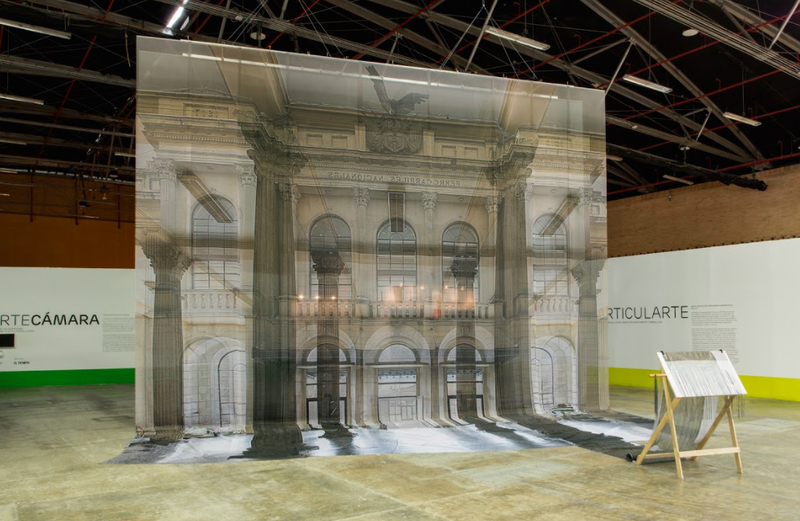 Aporías Moviles is an installation by Argentinian artist Nuna Mangiante making its world premiere at the LA Art Show. This is a multi-media installation featuring portraits with obscured faces on display with various construction and building materials. It speaks of urban transformation as an emerging social reality in Latin America. Launch LA and the California African American Museum (CAAM) are proud to present a multicultural survey of selected works by ten contemporary artists of color living and working in Los Angeles. Despite their diverse backgrounds, interests, and life experiences, all these artists share an urgency to be heard when addressing contemporary issues of race, class, and gender while expressing disenchantment with the current political and social establishment. SABER joins the the LA Art Show on Opening Night to create an original work which will be on display throughout the run of the show.